Each week, Lauren Richards, a complex care coordinator at St. Joseph Mercy Livingston and Ann Arbor Hospitals, gets a list of phone numbers for a handful of people who have been in the hospital emergency room recently. Richards doesn’t know the people on the list, but she’s been told that they may need health care and social services that could keep them from winding up in the emergency room again. Richards is one of a few dozen care coordinators at 11 organizations engaged in the Livingston and Washtenaw State Innovation Model, a three-year pilot financed by the Michigan Department of Health and Human Services. Launched by the Washtenaw Health Initiative, a voluntary collaborative focused on improving access to coordinated care for low-income, uninsured, and Medicaid populations, the pilot is designed to reduce frequent use of emergency department services in both Washtenaw and Livingston counties by addressing the health and social needs of patients in a personalized, intensive, and integrated way. Using a process developed by the care coordinators and facilitated by the Center for Healthcare Research and Transformation at the University of Michigan, Richards and her counterparts at these 11 agencies call everyone on the list. Richards tells them she got their number because they’d been to the emergency room and that they’re likely to qualify for assistance that could offer help with their health and human service needs. When patients do join the pilot, care coordinators reach out to assess their needs, to ask about their goals, and to start where and when the patients want to start. The first need might be simple—a sturdy chair with armrests so the patient can get up from a seated position without assistance—or patients may want to tackle a range of challenges, some of them quite complex. Many clients who wind up in the emergency room have serious health needs, says Holbrook, including mental health or substance use disorders, asthma, diabetes, chronic pain, high blood pressure, and other co-occurring conditions. If the health needs are simple, a single agency may be able to address them independently. But when needs are complex, like they are for many of those who repeatedly rely on emergency room services, care coordinators work together. On the health side, care coordinators help clients get health insurance, find a primary care physician, set up appointments with that physician, get to those appointments, interpret doctor’s orders, secure needed prescriptions and medical equipment, and more. These social service agencies can help homeless clients find housing, malnourished clients access nutritious foods, and struggling parents secure reliable child care. They can get participants into mental health counseling, substance use treatment, job training programs, and many other non-medical services that can have a huge impact on health. Importantly, the structure that’s been built as part of the State Innovation Model–with HIPPA-compliant data-sharing agreements, a secure care coordination platform that agencies use to track patient progress in real time, and regular meetings to develop and refine care plans–makes it easy for Lauren Richards at St. Joe’s to ask for the help her clients need. When Richards calls Lorne McKenzie at Livingston County Community Mental Health for help with a client’s medications, Ruth Kraut at the Washtenaw Health Plan for help with a client’s insurance, or Katie Wolfe at Home of New Vision for help with a client’s substance use counseling, she gets that help. Care coordinators in both counties rely on each other, learn from each other, and work together to serve their patients. 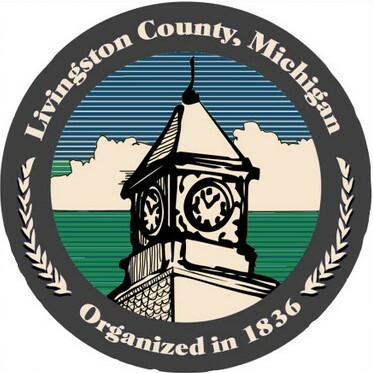 “We work closely with almost every single agency in the pilot,” says Richards–referring to Livingston County agencies, as well as those in Washtenaw County.